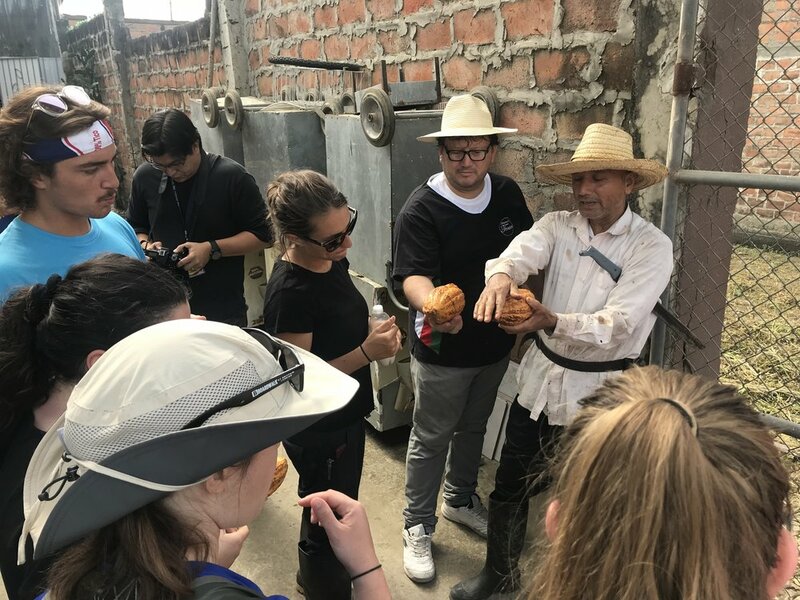 Teams of university students that travel to Ecuador will learn practical and theoretical applications of sustainable design in Bahía de Caráquez and Chone from some of the most world renowned architects in Latin America. 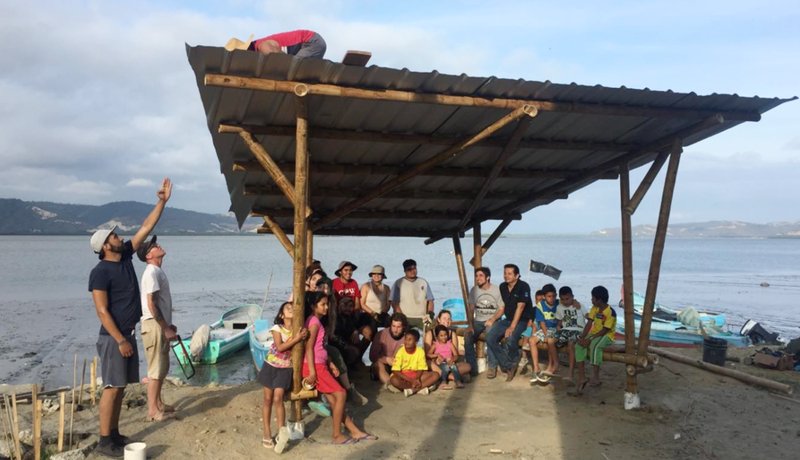 Workshops led by local architects, students, and professors from the Universidad de Guayaquil, skilled Ecuadorian carpenters, and community members from coastal cities in Manabí will explore the history of bamboo architecture and concepts of sustainable design while actively building structures with the local caña guadua species of bamboo in a post-disaster zone as well as within the newly developing agroforestry operation of Los Arboleros Farm. Social and environmental enterprise models. Economic viability of large scale bamboo production as a building material. Political, social, cultural, and economic analysis of post-disaster zones, sociological impacts of natural disasters, and relief aid politics. 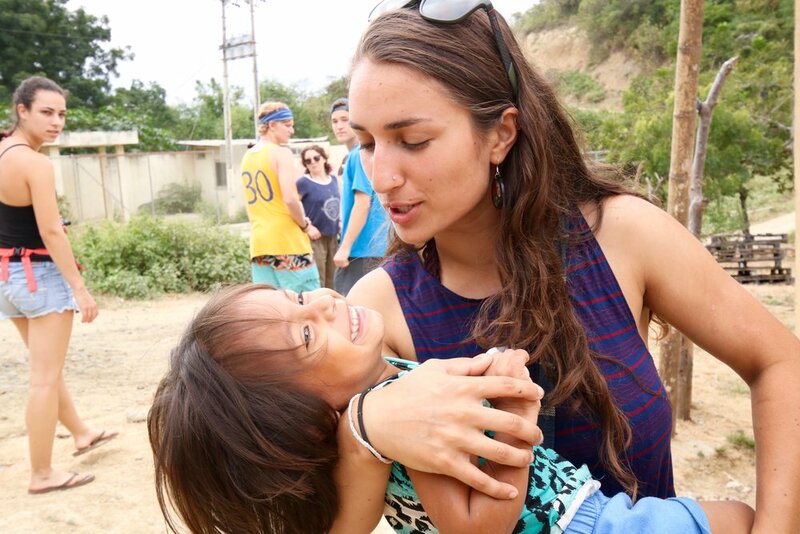 Trips include non students, all students undergraduate or graduate, researchers, professors and other faculty. If you cannot attend the date for your respective university trip, please contact us about availability on other sessions. 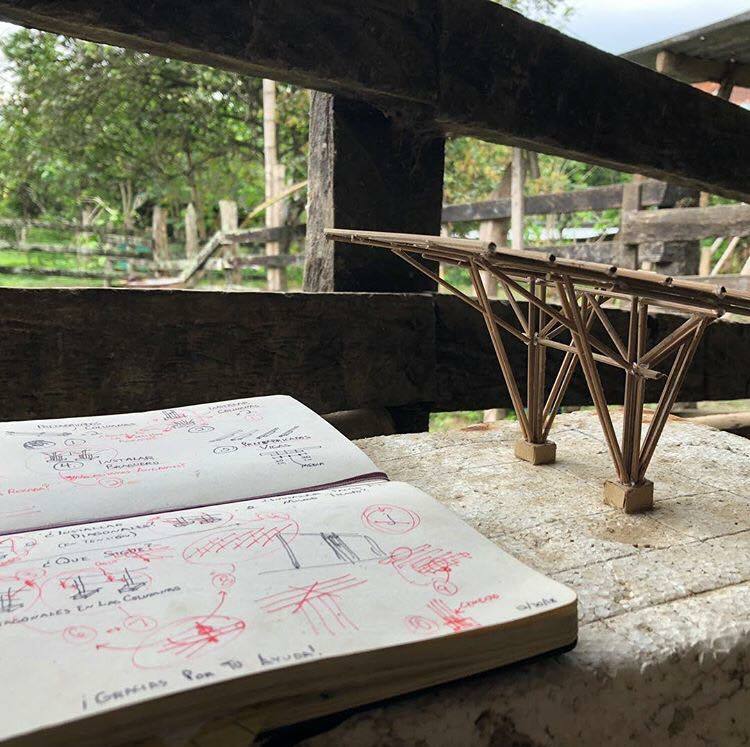 Courses typically focus on regenerative agriculture, agroforestry, sustainable entrepreneurship and business, bamboo design, engineering and construction. We welcome people of all backgrounds or ages excited about the subjects included in our workshops! Housing will be provided in both of our guest houses for different portions of the course. Casa Gorda is a beautiful 3-story bamboo home in Bahía de Caráquez. 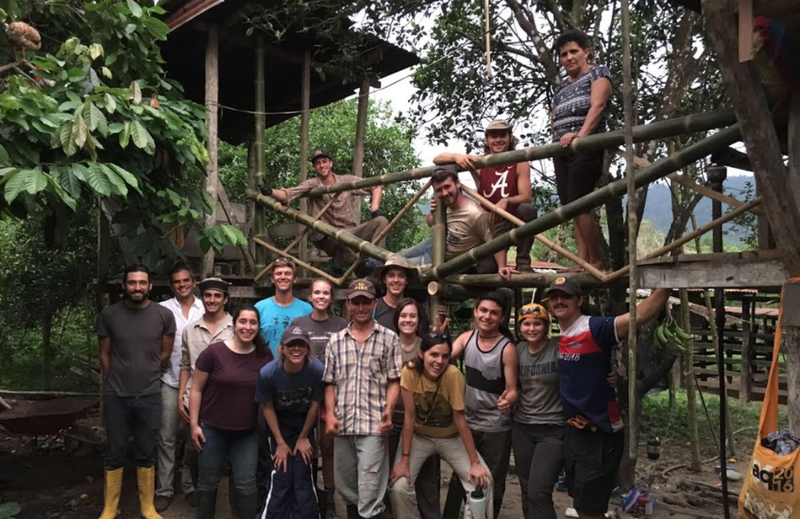 Participants in 2018-19 courses will also be the first to stay at our new Eco-Campus on Los Arboleros Farm in Chone.